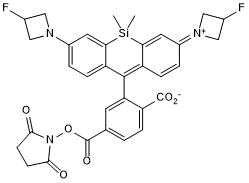 Red fluorescent dye; supplied as an NHS ester for coupling to primary amine groups. NHS ester can be converted to relevant substrate for use in self-labeling tag systems, e.g. HaloTag® and SNAP-tag®. 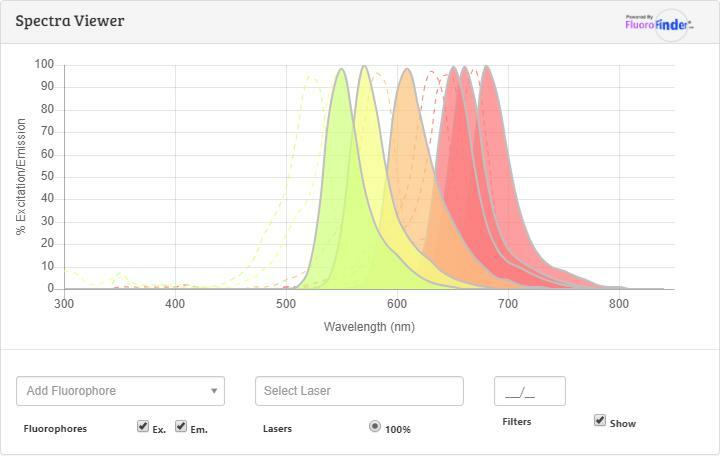 Suitable for confocal fluorescent imaging and super resolution microscopy (SRM) techniques, such as dSTORM (live and fixed cells). Cell permeable. 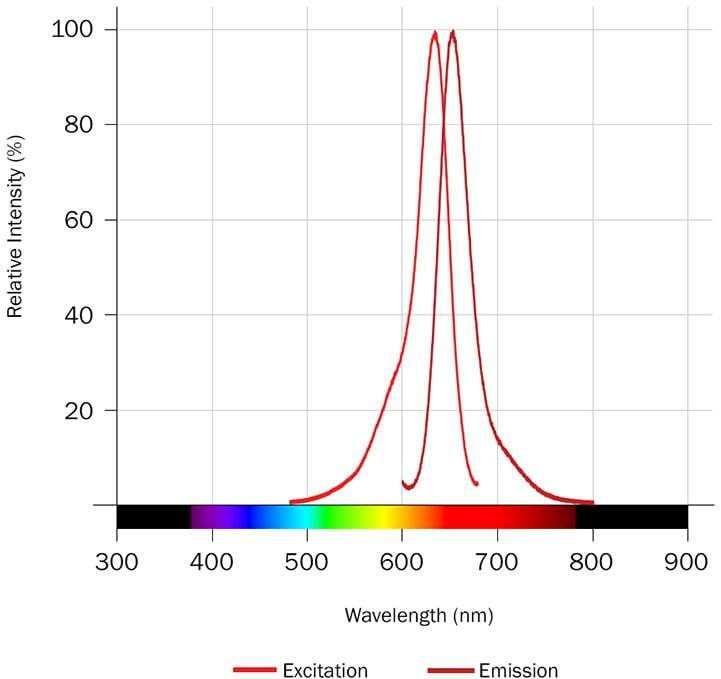 Excitation maximum = 635 nm; emission maximum = 652 nm; Quantum yield = 0.56; Max extinction coefficient = 167,000 M-1cm-1 (measured in Ethanol or TFE plus 0.1% TFA); Correction factor = 0.0524. Exhibits low nonspecific background staining. To measure the absorbance spectrum of this dye we recommend the following solvent: ethanol or trifluoroethanol plus 0.1% TFA. We also offer Janelia Fluo® conjugated antibodies and custom conjugation services with our sister company Novus Biologicals. Application of Janelia Fluor® 635, SE dye on mitochondria; Left: Mitochondria were labeled with anti-TOM20 primary antibodies. 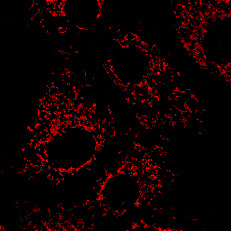 The secondary antibodies were conjugated to JF 635 dye Left: Maximum intensity projection of confocal z-stack, recorded on an Olympus FV1200 confocal microscope. Right: Enlarged portion of left-hand image. The following data is based on the product molecular weight 629.69. Batch specific molecular weights may vary from batch to batch due to the degree of hydration, which will affect the solvent volumes required to prepare stock solutions. If you know of a relevant reference for Janelia Fluor® 635, SE, please let us know. Currently there are no citations for Janelia Fluor® 635, SE. 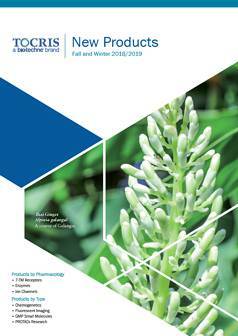 Do you know of a great paper that uses Janelia Fluor® 635, SE from Tocris? Please let us know. There are currently no reviews for this product. 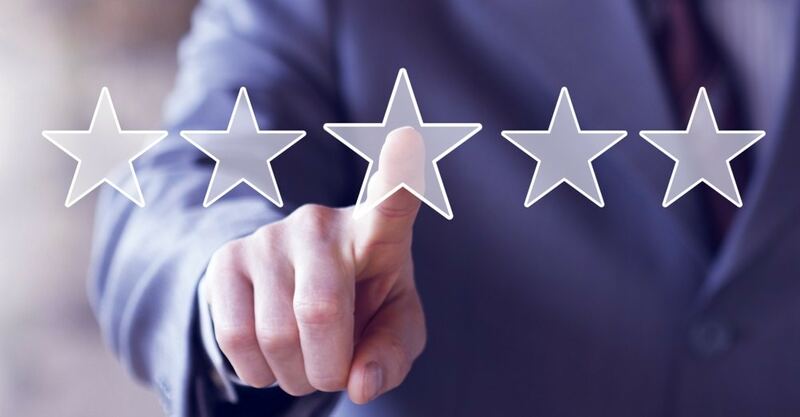 Be the first to review Janelia Fluor® 635, SE and earn rewards! Have you used Janelia Fluor® 635, SE? The following protocol features additional information for the use of Janelia Fluor® 635, SE (Cat. No. 6419).